Your space station is infested by all kinds of nasties, from plain ol’ space bugs to annoying space bots. Annoying, but that’s not the worst part: that ‘fancy’ space suit you’re wearing? Yeah… can’t jump in it, and the only way to squash the invaders is to jump on them. How, then? By reversing gravity, of course! Crafted for Ludum Dare 31 (“Entire Game On One Screen”), GraviFlip is old-school in both design and style. 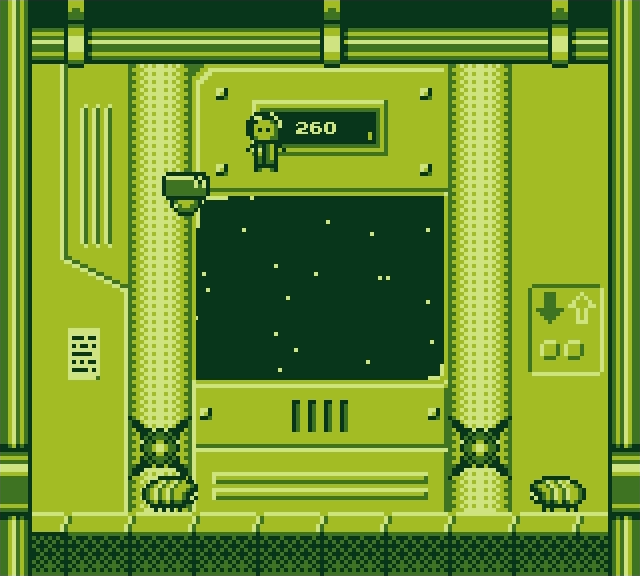 Its visuals resemble that of a spruced up GameBoy title, while the gameplay is both simple and challenging at the same time. See, while stomping monsters by messing with gravity may sound easy, it really isn’t. I mean, some can be squashed with relative ease, as they don’t care about the gravitational switches, but there are those which’ll flip upside down whenever you do! Troublesome? You bet. At its heart, the game is an arcade experience which tasks the player to rack up as a high a score as possible. To accomplish this, keeping a ‘combo’ going – by avoiding the floor and ceiling – is almost essential, while obviously also rather tricky. Oh and don’t come into contact with either enemy type from the sides, as that’ll end your run; much like hitting a spike. Rack up a high score and become the best space thingies destroyer space person! Simple, clean, high-score chasing fun. What more could ya ask for, in this unnamed space station, floating around God knows where? Well, a proper space suit and less bugs perhaps, but hey – then there’d be no GraviFlip!